LFC is a soccer-focused management consultancy led by Jeff L’Hote, a former investment banker and attorney -- and a recognized expert on the business of soccer. We are passionate about the sport. Based in New York City, LFC was launched in 2006 by Jeff L’Hote – with an initial goal of establishing a dedicated management consultancy tailored exclusively to a US soccer industry on the verge of what L’Hote believed would be incredible growth. With a solid understanding of the global soccer industry, passionate appreciation for the sport and broad professional experience, LFC’s objective was to assist both established soccer entities and those interested in capitalizing on commercial opportunities across a unique and complicated US landscape. As the sport continues its US growth – and the country well on its way of becoming a true “soccer nation” -- LFC is now recognized as a solution provider to governing bodies, professional leagues, teams, investors and other industry stakeholders. Clients such as Major League Soccer, the US Soccer Federation, CONCACAF and others now rely on LFC and its global network to tailor creative, analytical and practical solutions to address a range of diverse business objectives. 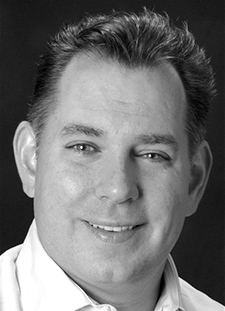 Building on successful careers in investment banking, law and retained executive search, Jeff L'Hote complemented his broad professional skill set, academic credentials and passion for soccer by completing a specialized MBA program in the UK focused on the business of global soccer. Upon receiving his MBA, L'Hote worked with a London-based consultancy and served as lead author for the definative'white paper' on the business of soccer in the US. L'Hote has strong professional ties to colleagues at FIFA and its confederations and member associations, professional leagues and teams, media outlets, sponsors, agencies and others working across the global industry. L'Hote also has broad cultural appreciation of the sport, supplemented by extensive international travel that has included his attending soccer matches and tournaments in more than 25 countries. He is a former board member of Play Soccer, a US-based non-profit organization that utilizes soccer as a social development tool to assist disadvantaged children across Africa. A former NCAA Division 1 player, L'Hote is a childhood supporter of Liverpool Football Club. Written to assist businesses and investors better understand the background, demographics, landscape and changing trends that continue to fuel soccer’s growth in the US, L’Hote is the lead author of “Soccer in North America: The Commercial Opportunities”, the most comprehensive industry piece ever published on the business of soccer in the US. The 250-page report provides an objective explanation of soccer’s diverse US structure – from the youth game to Major League Soccer and other professional leagues, including women’s soccer – while covering the most important commercial aspects of the sport, including media, sponsorship, merchandising, facilities and foreign investment. To receive the executive summary, please contact info@lfcinternational.com. 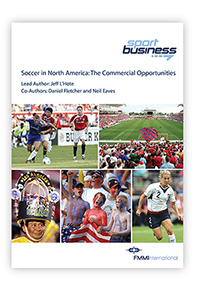 The complete report is available for purchase through London-based Sport Business International (http://www.sportbusiness.com/products/reports/soccer-in-north-america-the-commercial-opportunities-160439).